The Obama administration’s recent pronouncements against Syria’s alleged use of chemical weapons were, in part, seen as a warning to Iran. Secretary of State John Kerry told senators at the Foreign Service Committee, “Iran is hoping you look the other way. Our inaction would surely give them a permission slip.” American proponents of a Syrian military intervention, such as Rep. Ileana Ros-Lehtinen, believe inaction “will be seen as a green light by the Iranian regime” to continue with its nuclear weapons program. In reaction to some of this stepped-up rhetoric, the Iranian hip-hop artist Base One Basic released a new video called “Call to Disarms (Why Are You Scared of Iran? )” on September 5. Base One Basic, or Shervin Nooravi, dedicates the song to the people of Iran, but he also hopes to discourage Americans from escalating the war talk. “War is not the answer, so what’s the problem?” he raps. Meshing Eminem-influenced lyrics with traditional Persian beats, the MC alludes to American figures like Jay-Z and Marge Simpson in his call for peaceful dialogue. 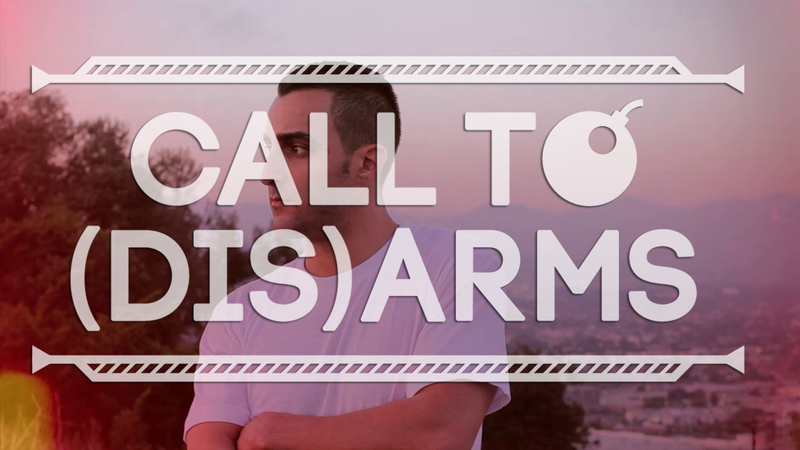 The “Call to Disarms” video was a collaboration between Nooravi and Iranian-American filmmaker Justin Mashouf. Base One Basic still has a relatively small Iranian fan base, but the political potency of hip-hop in the region is real. In 2010, the U.S. State Department recognized this fact and sponsored Brooklyn-based act Chen Lo and the Liberation Family to tour the Middle East and North Africa. Maybe hip-hop diplomacy can eventually help rebuild America’s image among Iranians, and vice-versa.